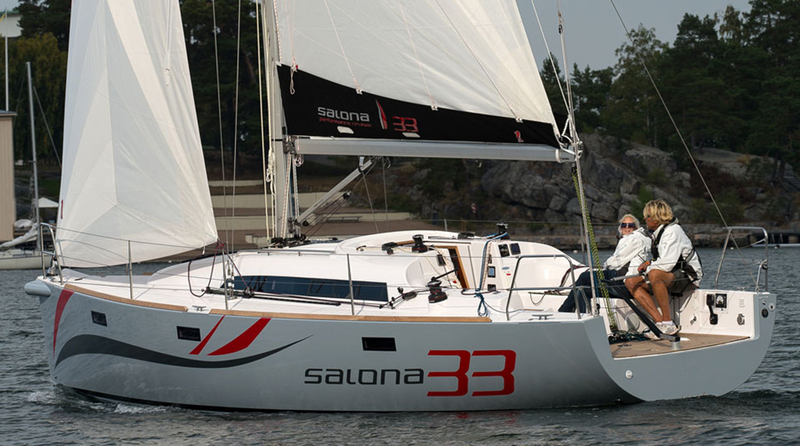 The Varianta 37 is a sailboat that gets back to basics, but with a twist. Repurposing has become a popular term lately. It applies to many things, from finding new uses for old clothes to redefining tires as flower planters. So it’s no surprise that this word has snuck into boating vernacular as well. Launching existing hulls with new decks and interiors is a viable business model, a kind of getting back to basics, and with this in mind the Hanse Group launched a line called Varianta. The Varianta 37 is a new take on an old hull design, but the new take is lighter, faster, and built with high-end construction features. 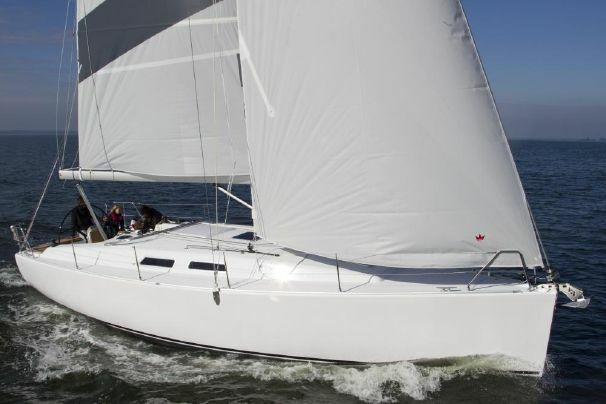 This model group now has two repurposed hulls including a 44-footer and the new Varianta 37, which popped out of the old Hanse 370/375 mold. The beauty of this kind of boat building is that there’s no new hull development, no new hull mold, less gear overall, and therefore a savings that Varianta can pass on to the consumer. The old Judel & Vrolijk Hanse 370 design was a sandwich construction but the Varianta 37 is a solid glass laminate. A grid pan is bonded into the hull and the deck is cored with foam. Bulkheads are tabbed in on both sides, a high-end touch that you won’t find on many production boats, so there is definitely a degree of good quality even as the cost is being driven out of the design. A cast iron T-keel (available in two drafts) is attached with oversized bolts and the spade rudder is deep for a good grip when going to weather. For West Coast boaters where the T-keel may be problematic, a kelp-cutting system is an option. 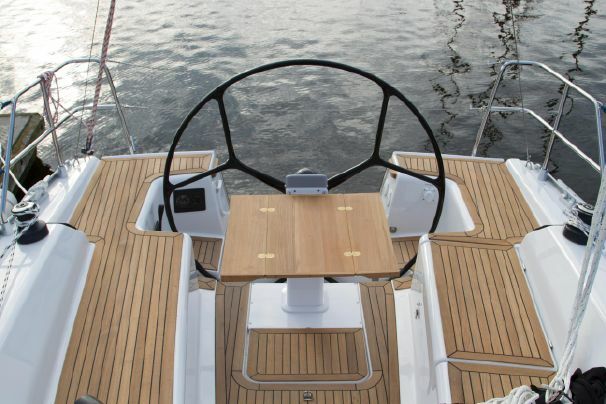 You can dress up the cockpit of the Varianta 37 with teak to add some color, though this will add onto the boat’s price tag (base is about $150,000). The deck is remarkably clean, even a bit stark in its vast expanse of white. Included are four Lewmar winches and four cleats. Chainplates are outboard and the jib tracks are inboard on the cabin top. It’s easy to maneuver back and forth on the side decks and there’s a watertight bulkhead just aft of the anchor locker forward. There is one large (racing style) wheel and the traveler is on the cockpit sole, with a double-ended mainsheet. 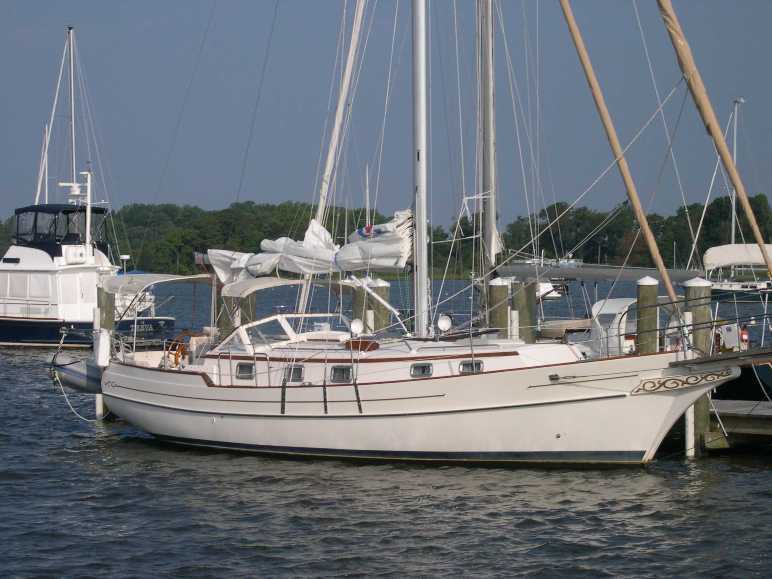 The rig is a tapered Selden deck-stepped mast with double spreaders that supports a traditional (non-furling) mainsail with a Dutchman system to help flake the sail when dropped. 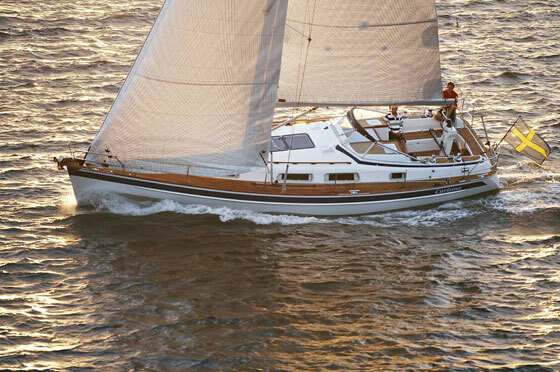 A 109% hank-on jib is standard but you can opt for a Harken or Schaefer furler, which in my view, is a must for cruisers. A rigid vang is standard. The fine entry means the Varienta 37 retains her ability to point well and the broad aft sections create enough volume below that it will still be comfortable to cruise. The boat is so simple to sail, it’s likely to find its way to sailing schools around the country. The interior is where this new model saves even more money, as well as some weight. The Varianta 37 is 600 pounds lighter than the Hanse 370 despite its solid glass hull, and a good deal of credit goes to the utilitarian living space. It’s certainly not lavish, which will turn off some buyers, but it will work just fine for club racers or families that prize function over aesthetics. 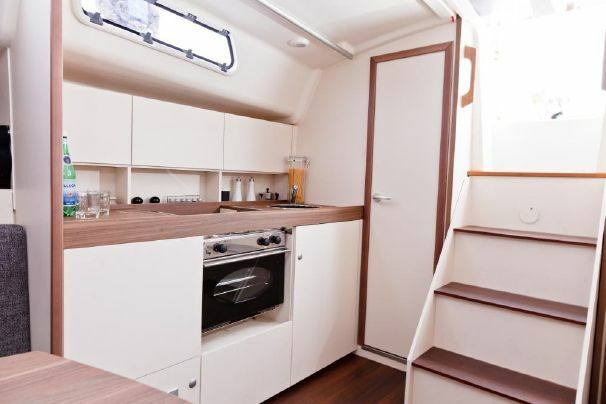 An in-line galley is to starboard with a two-burner stove, a single sink, and a small fridge; an option for more refrigerated space is available. A two-cabin, single head layout is standard, but a third cabin may be added aft. The forward stateroom has a V-berth and adequate stowage, and the saloon has a drop leaf table. A head with a shower space (not quite a stall) is to port. Down below, as up top, there’s a lot of white space, but you can option two levels of joinery packages with teak trim and teak veneer cabinet faces to add to the Formica surfaces. The additional trim is nice to break up the angular lines, but frankly, I’ll take functional surfaces. They’ll never need to see the varnishing brush, and you won’t mind dragging extra sails and duffel bags over them. A Volvo diesel is below the companionway steps. The 20 HP engine with Saildrive is standard, but you can upgrade to a 30 HP if you plan to motor often against wind and waves. Sail Area 716 sq. ft. There are many upgrades and add-ons you can choose from to make the boat your own, including additional hatches, interior trim, rollers for easy engine cover removal, a different mainsheet system, laminate vs. Dacron sails, complete electronics with autopilot, and a creative asymmetrical pack. There is even an inexplicably sophisticated electric propulsion option with a 48-volt battery pack for a six nautical mile range without a genset. But the real beauty of this design is that it will sail well and comes in at such a low base price. The Varianta 37 is a lot of boat for the money—so going back to basics doesn’t have to be quite so basic, at all. 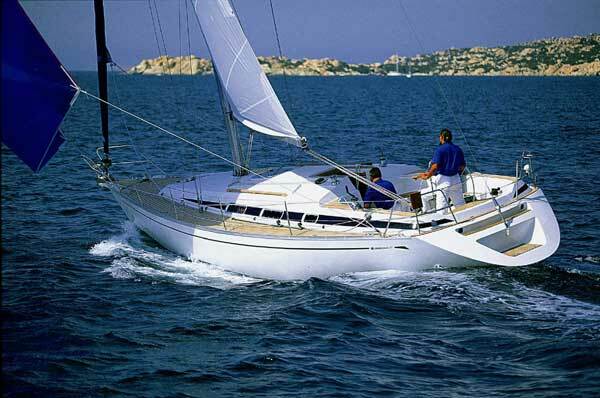 Other Choices: Those interested in the Varianta 37 will probably also shop the Beneteau Oceanis 38, which is priced similarly and can be optioned-out from plain-Jane to quite fancy. 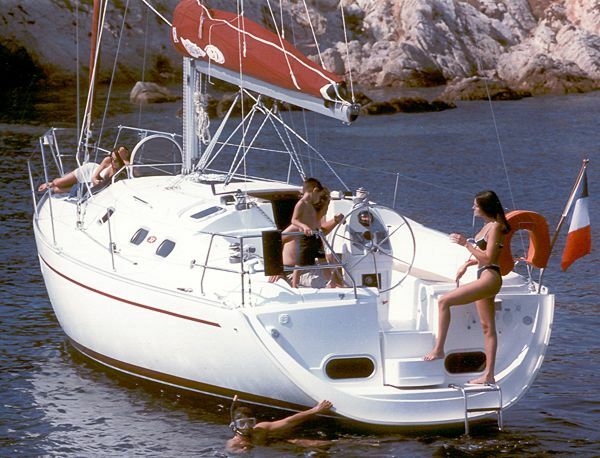 The Dufour 36 may also be of interest, though the price tag starts off noticeably higher.